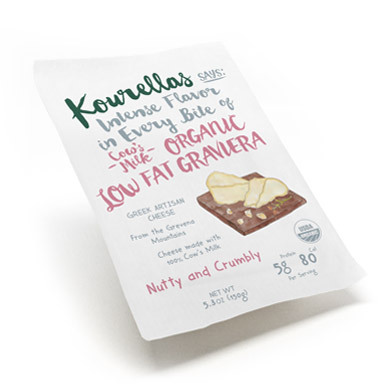 At the Kourellas family dairy, our organic kefalograviera cheese is salted by hand and matured on wooden shelves for at least three months. 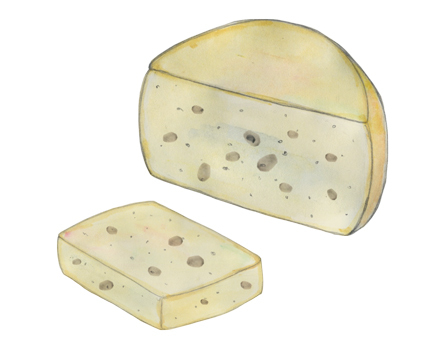 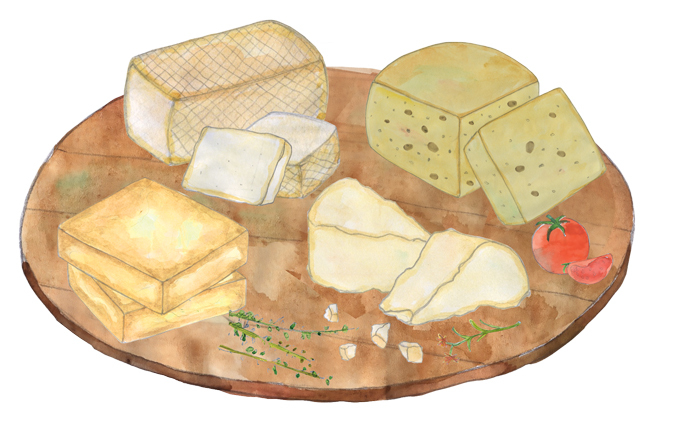 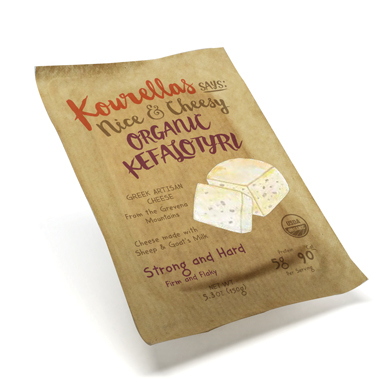 Intensely rich with a lingering aroma, kefalograviera makes the perfect saganaki – a sizzling wedge of piquant cheese. 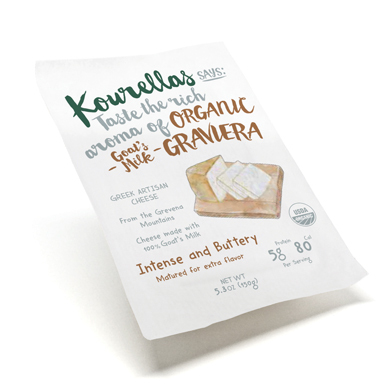 Grate over your favorite pasta, gratin, or baked potato, or serve finely sliced with dried figs and walnuts.